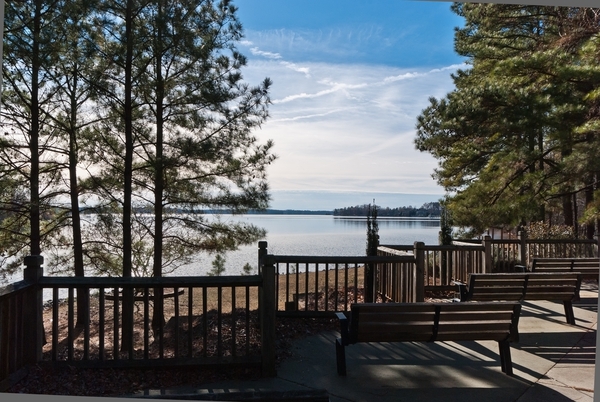 Cornelius NC at Lake Norman is known as one of the most popular places to live outside the Charlotte city limits. Its close proximity to Charlotte (just 20 minutes), beautiful communities and stunning shoreline make it stand out amongst many other towns when people are looking for a place to settle. Above is a beautiful winter picture taken at Jetton Park in Cornelius by Scott LePage Photography. 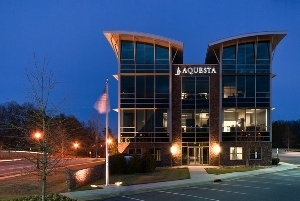 Aquesta Bank in Cornelius is just one of the many new state of the art buildings that can be seen along Catawba Avenue which runs through the center of town. This eye catching architecture actually is so energy efficient with its construction and solar roof technology that it actually sells energy back to the local energy company. Over that last year in a half Cornelius has gone through a number of changes with newly paved streets, building and updated green areas. With many changes still in the works Cornelius is keeping up with the times. Even during this hard economic time businesses continue to open and do very well due to the layout of the town and continued transformation. 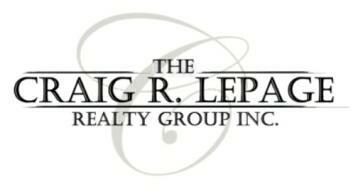 The Lake Norman Keller Williams Realty office is also located right in the center of Cornelius. Many business have choosen Cornelius for their place of business due to its great location and small town charm. For families and singles alike there many great communities in Cornelius. On the west side of town near Lake Norman you can find many luxury communities like Wrights Emerald Cove, Joys Serenity Point, Flagship, Robbins Parks, Connor Quay, The Peninsula and other hot spot areas like Nantz Road and Jetton Road. The Peninsula Club is probably the most well known Community in Cornelius and offers a beautiful 18 hole Golf Course, Tennis Center, Yatch Club, multiple pools and Club House. Located just 20 minutes from uptown Charlotte, The Peninsula Club is home to many who work in the city and enjoy the beautiful views and recreation that Lake Norman offers. 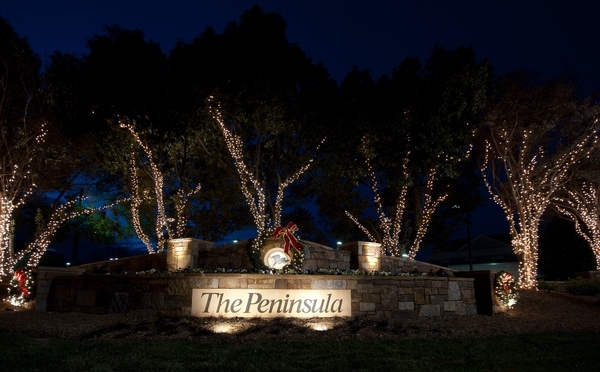 Established in the Early 1990’s The Peninsula attracted the areas finest custom home builders. Incredible waterfront and golf course homes can be seen throughout the community. Residents who do not own a waterfront home but still have a boat can park it at the Peninsula Yacht Club or one of the other community docks around the community. On the east side of Cornelius there are also many new buildings and development such as new sidewalks, street lamps and a new Live, Work, Play Community named Antiquity. If you are thinking of moving to the Charlotte area and are researching different locations outside of the city, Cornelius NC is definitely a town that you should take a closer look at. In summary Cornelius offers a great location for its residence, beautiful communities with great amenities, waterfront homes on Lake Norman, thriving business as well as updated & upgraded roads and green areas. Cornelius, NC at Lake Norman / Located 20 Miles NW of the City of Charlotte.